Google Earth is a desktop application that provides detailed views of the Earth's surface by combining a variety of data sources, such as maps and satellite images. 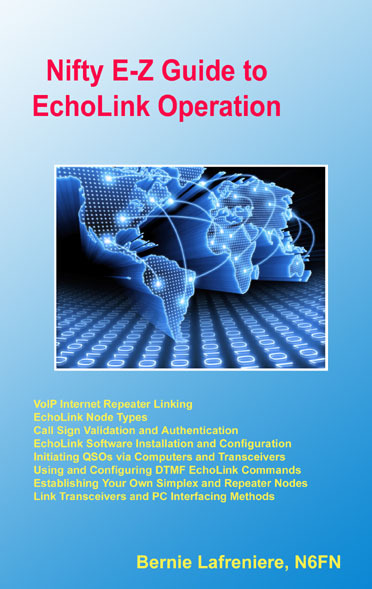 If you have installed this program on your computer, you can also use it to view the location of many active EchoLink nodes. First, download the Google Earth software from the Google Earth web site. Then, on the Link Status page, click on the Google Earth View link to open the Google Earth application. This will download the positions of EchoLink nodes and display them. You can also set up Google Earth to retrieve this information directly from the EchoLink site periodically, by adding it as a Network Link. The URL for the Network Link is http://www.echolink.org/node_location.kmz. The nodes and positions shown in the Google Earth view are taken from the same data that is presented on the Link Status page. Only active links are shown. The latitude, longitude, and frequency of each node are provided by the individual node owners via the RF Info tab of the EchoLink software; this information has not been independently verified. Also, not all node owners have provided this information, so not all active nodes are included in the display. Q: How often is this information updated? A:The information for the Google Earth view is updated on the EchoLink Web site approximately once every three minutes. How often your Google Earth software updates itself depends on how often it is set up to retrieve this data. Q: I'm looking for the location a specific node, but I don't see it on the map. Why is it missing? The node might be currently offline. The owner of the node might not have provided lat/lon information on the RF Tab of the EchoLink software (under Sysop Settings). The lat/lon data provided by the node owner might be incorrect. For example, if latitude and longitude are reversed, or East longitude is being given instead of West longitude, the node will be plotted on Google Earth in a completely different part of the world. Q: My node appears on Google Earth, but it isn't in exactly the right place. Why? A: On the RF Info tab under Sysop Settings, be sure you have entered the latitude and longitude correctly. Following the APRS standard, this information must be entered in degrees and decimal minutes. A common mistake is to enter the location in degrees, minutes, and seconds, which is not the same thing. To convert fractional degrees to decimal minutes, multiply the fractional part by 60. For example, if your latitude is 42.155167 degrees, enter 42 degrees and 09.31 minutes. Also, pay close attention to the N/S and E/W settings, and be sure not to confuse latitude with longitude. 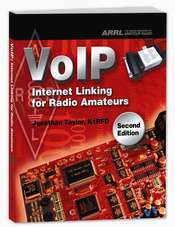 Q: I'm running a link to a repeater (a -R node). What location should I enter on the RF Info tab? A: For a repeater link, it is best to enter the location of the repeater itself, not necessarily the location of the node. The reason is that the node is always reached through the repeater, and thus portable and mobile stations will need to know whether they are in range of the repeater's signal (rather than your node) if they wish to use it. Q: I see a node that is plotted in the wrong place. Who can fix this? A: You might want to contact the owner of the node to alert him of the error. Only the node owner can make the change (via the RF Info tab of his EchoLink software). Q: I have a question about the Google Earth software. Where can I find an answer? A:Please see the Google Earth Web site for more information.